Know Simon Kenton HS Class of 1963 graduates that are NOT on this List? Help us Update the 1963 Class List by adding missing names. Class of 1963 celebrating reunion this year. Contact Sandy Miller Gadd @ (859) 803-XXXX or Joy Hamilton @ (859) 394-XXXX . Dinner will be at 6 P.M. at the Holiday Inn Cincinnati/Airport. We would really like to see all who graduated in '63 or would have graduated. 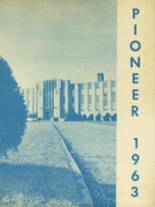 More 1963 alumni from Simon Kenton HS have posted profiles on Classmates.com®. Click here to register for free at Classmates.com® and view other 1963 alumni. Missing some friends from Simon Kenton that graduated with you in 1963? Check the list below that shows the Simon Kenton class of '63.